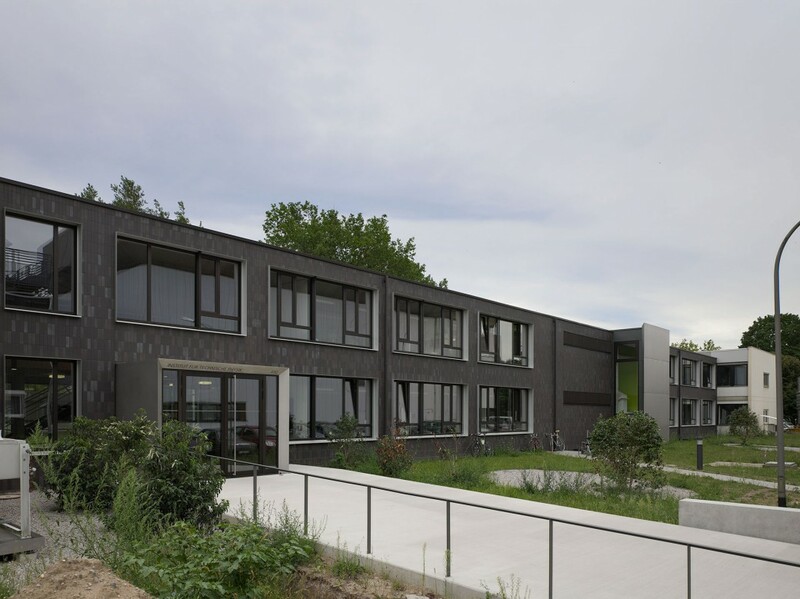 To meet the growing demands of the Institute for Technical Physics (ITEP) in Karlsruhe, the existing single floor building has been replaced. 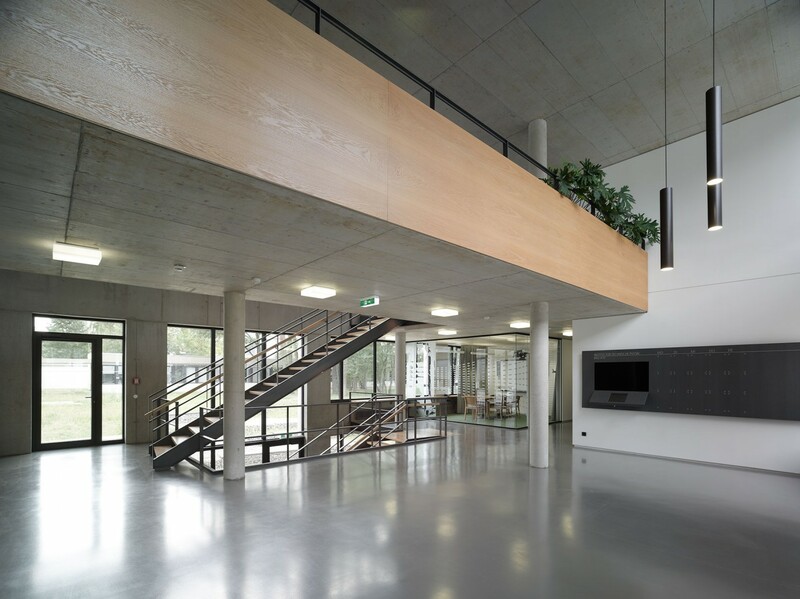 The new building provides two levels of office space adjacent to a triple high atrium which at the same time forms the new main entrance for the Institute. 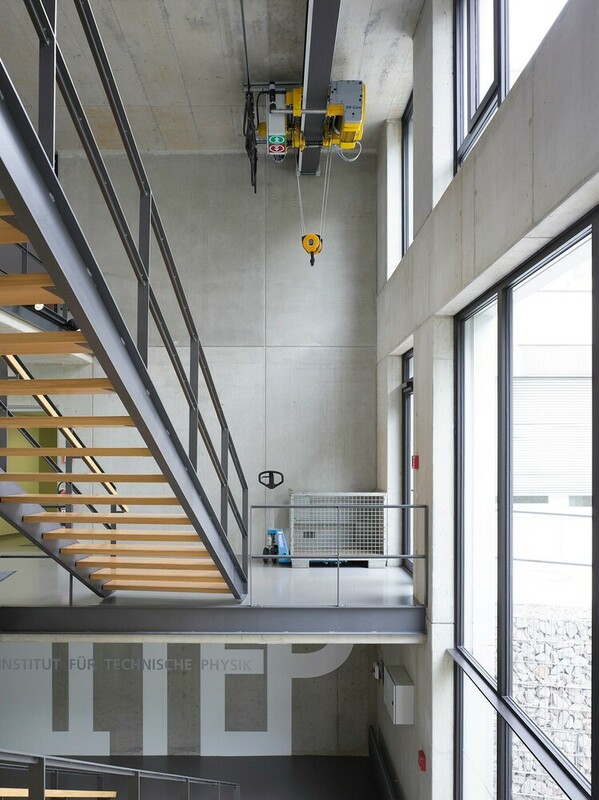 Completing the ensemble, lab spaces are placed in the basement floor which opens towards the inner courtyard. 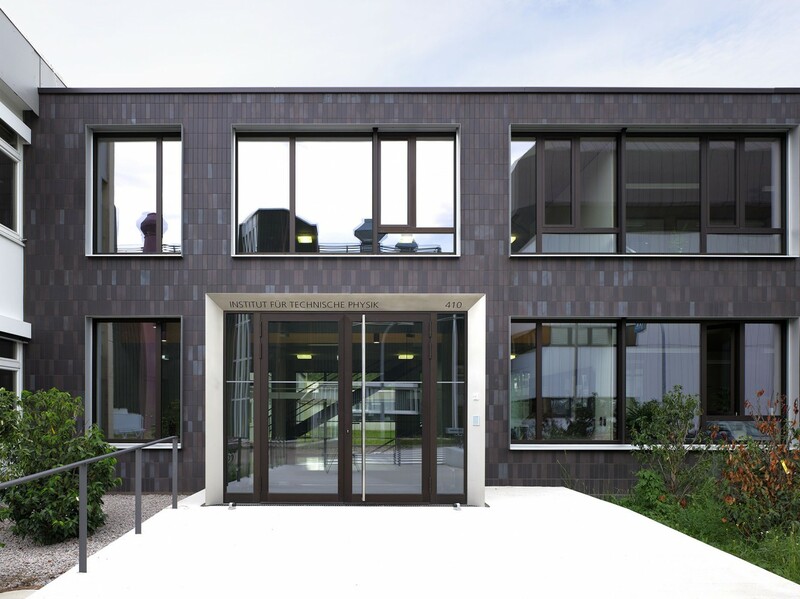 This formerly unused existing courtyard, approximately 2,000 m², is the heart of the enhanced working environment. 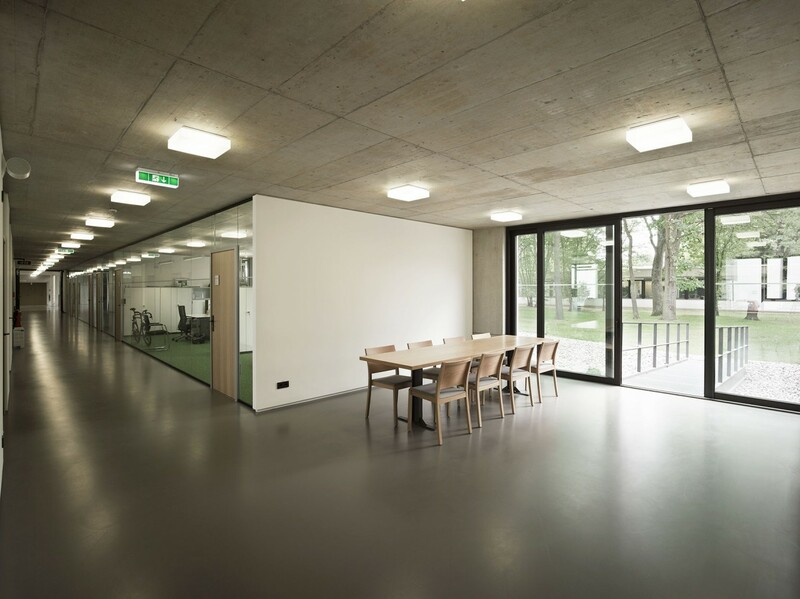 Common spaces, such as kitchenettes, lounge areas and informal and formal meeting rooms, open towards the courtyard creating a friendlier environment that shall encourage more people to spend some time outdoor and take short walks. The result is a building that invites institute members and visitors into this environment, promoting interdisciplinary communication. The architectural concept of the interior is to obtain a visual openness, despite the requirement to maintain mostly singular and double office cubicles. 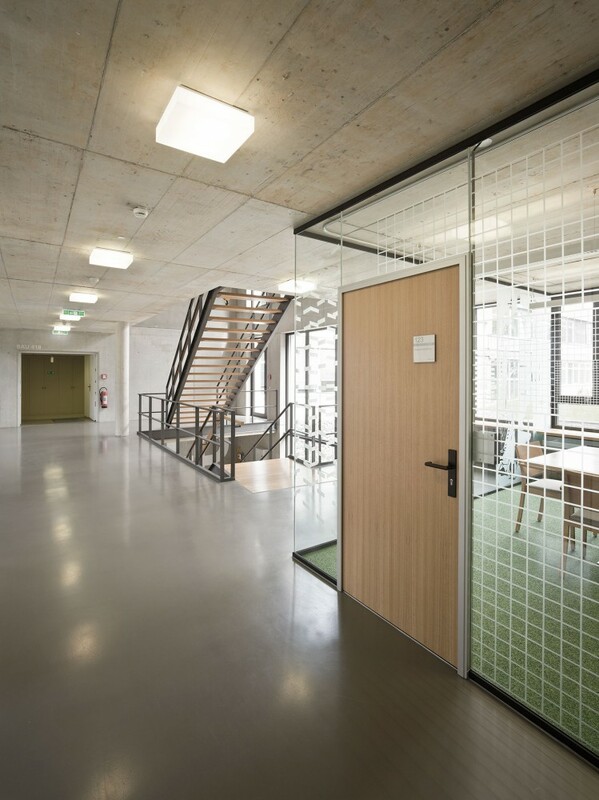 The typical opaque partition walls were replaced with glazing, maintaining the privacy of the employees while creating visual connections into the corridor and common areas. These common areas provide spaces for relaxation and communication, enhancing the general working environment while breaking the rigidity of the corridor. 1.950 qm / 20,990 sq.ft. 6.850 cbm / 241,862 cu.ft.